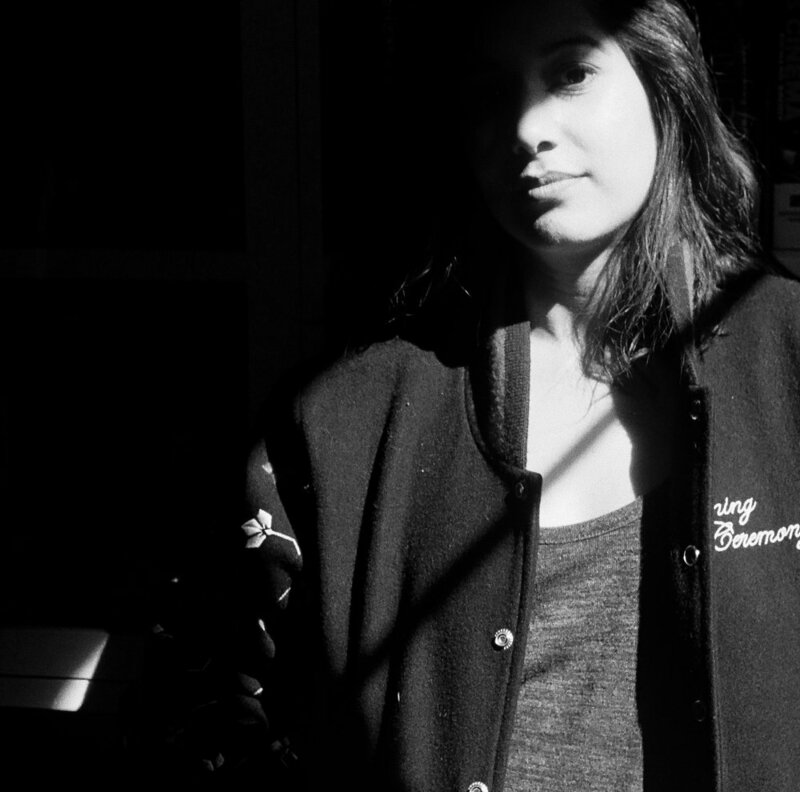 Welcome to honto88’s interview Feature: Filmmaker Files, where we interview filmmakers we love. 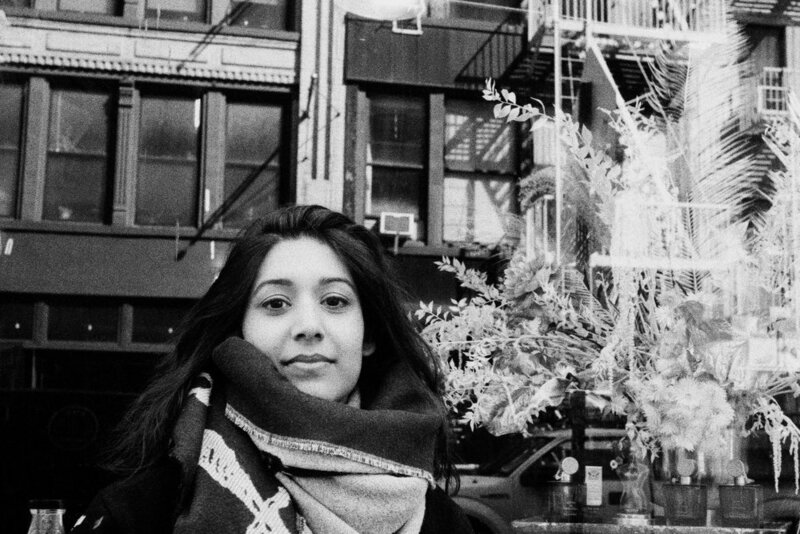 Meet SONEJUHI SINHA a writer-director based out of Brooklyn. Sonejuhi, near her creative space in Lower Manhattan. Sonejuhi’s directing career began with the narrative short film, Love Comes Later, which premiered at the 2015 Cannes Film Festival. Sonejuhi then completed Cannes’s development program Next Step in Paris with her feature script STRAY DOLLS. She is the recipient of the Tribeca All Access development grant and was selected for Shoot New Director’s Showcase in New York. She participated in Tribeca Film Institute’s Through Her Lens program where she was mentored by Dee Rees, Catherine Hardwicke among others. She is the recipient of the Jerome Foundation development grant and Tribeca’s IWC award for her feature Stray Dolls, starring Cynthia Nixon, Geetanjali Thapa, Olivia Dejonge and Rob Aramayo, which will premiere at the Tribeca Film Festival, 2019. Sonejuhi started her film career as an editor, working on acclaimed feature films, documentaries and commercials. Her passion for directing soon took over and her first narrative short, LOVE COMES LATER, premiered at the 2015 Cannes Film Festival. Sonejuhi then completed Cannes’ development program Next Step in Paris with her feature script STRAY DOLLS. The film also received the Tribeca All Access development grant, the Jerome Foundation development grant and Tribeca's IWC Award. In the meantime, Sonejuhi was selected for Shoot New Director’s Showcase in New York and she also participated in the Tribeca Film Institute’s prestigious Through Her Lens program where she was mentored by Dee Rees and Catherine Hardwicke among others. 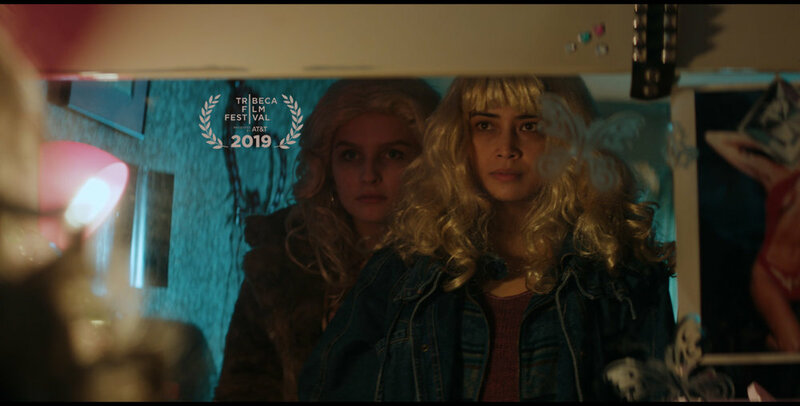 Next month, STRAY DOLLS, starring Cynthia Nixon, Geetanjali Thapa, Olivia Dejonge and Rob Aramayo, which will premiere at the Tribeca Film Festival, 2019. Still from Stray Dolls, premiering at The 2019 Tribeca Film Festival. We focus on making brave stuff that makes you stop, think, and look again. Describe a moment in your career when you felt the most brave. Sonejuhi Sinha: That would be when I took a year off from my film editing job to make my feature. Being an editor had been a big part of my identity, even though I had been writing and directing my own work for years. Taking that first leap was scary. There was a huge fear of changing... a fear of failing. What if I went out, tried, and things didn’t work out? I then realized that if I didn’t do it at that moment, I would regret it –– Directing Stray Dolls was something I had to do in my lifetime. What is something you’d tell your 18-year-old self when you were starting out? In one’s artistic life, there are some moments that make us stop. There may be an epiphany or a shift. Can you tell us about a recent one? SS: I recently had a baby –– she’s three months old. When she was born, I had this epiphany that now more than ever I have this urgent need to make work that’s bold and brave because I’m doing it not just for myself, but also for her. I want her to be proud of me. I want her to have role models so that she knows she can grow up to be anything she wants. It’s become even more urgent to be prolific, to go out there, and make stuff that moves people. What was THE film that made you want to be a filmmaker? SS: I think it was Satyajit Ray’s Pather Panchali, the first of the Apu Trilogy. It was the first film that he directed. When I first watched it, I just really hadn’t seen anything like that before. It was something that was so pure, so authentic, and had such a strong voice that was completely, originally him. And I really didn’t think cinema could do that. I didn’t think that cinema could affect me in the way that it did. I was completely inspired. Reading about it, I learned that he made it with a crew who had never been on a film set before, actors who had never been in front of the camera before. The decision to go out and just do is so brave and so bold. When he finished, it was rejected immediately by Indian cinema because of the strong pull towards Bollywood. But then it was completely embraced at Cannes, it won the Palme d’Or. The film is incredible and it affected and moved me in this huge way, and then reading more about it, the story became even more inspiring. Was there a recent film, video, or series that you had a visceral, almost primal response to? SS: The Favourite, Directed by Yorgos Lanthimos. Love that movie. I saw Dogtooth years ago. I knew from the very beginning of watching [Dogtooth] that this director is someone to watch –– he has such a distinct eye and voice, he is such an individual, and there’s really no one like him that’s making things that are so provocative and daring. It’s just inspiring that Lanthimos does that with every film. He stays true to his voice, but he keeps growing, keeps challenging himself –– using American stars, the English language, throwing in all these dynamics that are ultimately challenging but staying true to his voice. I think that’s what I want to do as a director: challenging myself with bigger budgets, or different tools, but at the same time maintaining what I started out doing. How does coming from an editing background give you a different perspective as a director? SS: Cinematographers-turned-directors bring a different eye than editors-turned-directors. I finished a couple of feature documentaries before I started my foray into writing and directing. That hugely influenced me, because editing documentaries is so much about storytelling and building character, while maintaining a character arc throughout. So I really use that eye when I’m in prep, when I’m writing a script, when I’m on set. Then the other thing that I bring from editing is being able to cut the scene in my head a few different ways on set. Once I know I can do it, I move on. On to the future. What’s next for you? SS: I’m writing a couple of different new feature scripts. They’re bigger in scale, and I’m trying out different elements –– one of them is period, it’s in the 70’s. Different challenging elements, but again, there’s a thread that I’m taking from my short Love Comes Later to Stray Dolls, my first feature, and that I’ll take to the next one, which is this exploration of the female criminal, and what really defines that role and the moral grays around it. I’m also working on a TV series that’s inspired by my first feature. We’re working with Time Warner to develop it into a treatment and a pilot for pitching. I signed with a commercial agency as well, so I’m working on pitching for commercials, and hope to direct a few this year. What is something that keeps you going? SS: That’s another tough one, but it would definitely be my parents. When I was 13, we all moved to the U.S. and they had to start a lot of their careers all over again. They’re such huge inspirations - the fact that they started over in their 30s and 40s and still kept going. My mom is 65 and she’s not slowing down at all, and now she’s picking up writing as well. It reminds me that we have decades ahead of us to make really good work, to impact people and make a difference in the world. What’s something that the world needs now? SS: I think we all need a bit of spontaneity in our lives right now. It’s so easy to look at the world and just see everything that’s wrong with it. We need to be more present, and appreciate the little moments that are silly or quirky that we’re not going to have again in our lives. 8 is an important number for us. What are 8 film scenes or moments you love or can’t forget. The scene in Andrei Tarkovsky’s STALKER , When he walks through a cavernous underground room full of small sand dunes. The beginning of RAT CATCHER Directed by Lynn Ramsay with the boy and the curtain and the end with the boy running through the fields.